It's on warm, sunny days like this that you want to take yourself somewhere green, pleasant and tranquil, perhaps enjoying a picnic and a stroll in the grounds of a beautiful house surrounded by acres of stunning gardens, lakes and parkland. But does a place like that actually exist in London? Well funnily enough, it does. 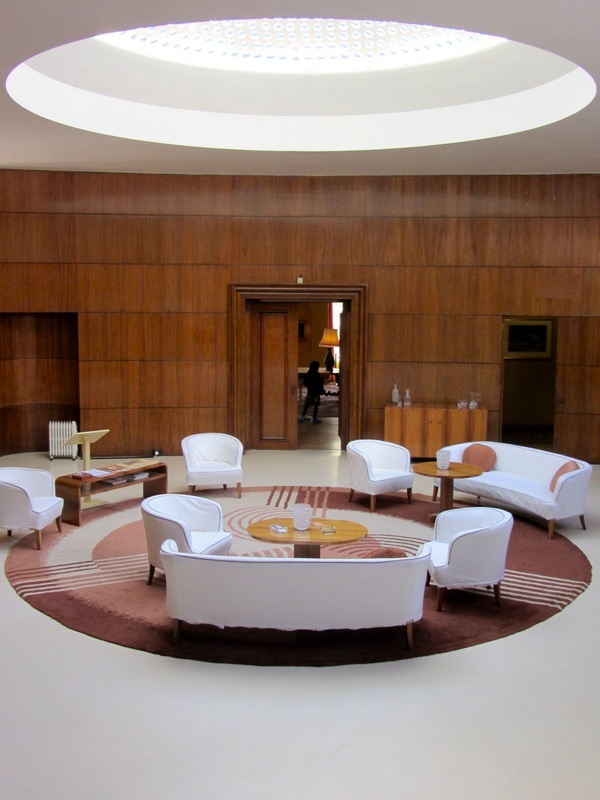 Eltham Palace is a Grade II listed Art Deco gem, and it's in South East London. In fact, you can see Canary Wharf in the distance. 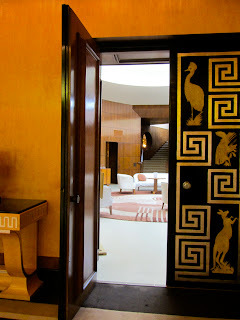 If you're a fan of Art Deco then you'll love Eltham Palace. The interior is incredibly decadent with an impressive entrance hall, a beautiful sitting room with a glass domed-ceiling, a panelled dining room and luxurious bedrooms. 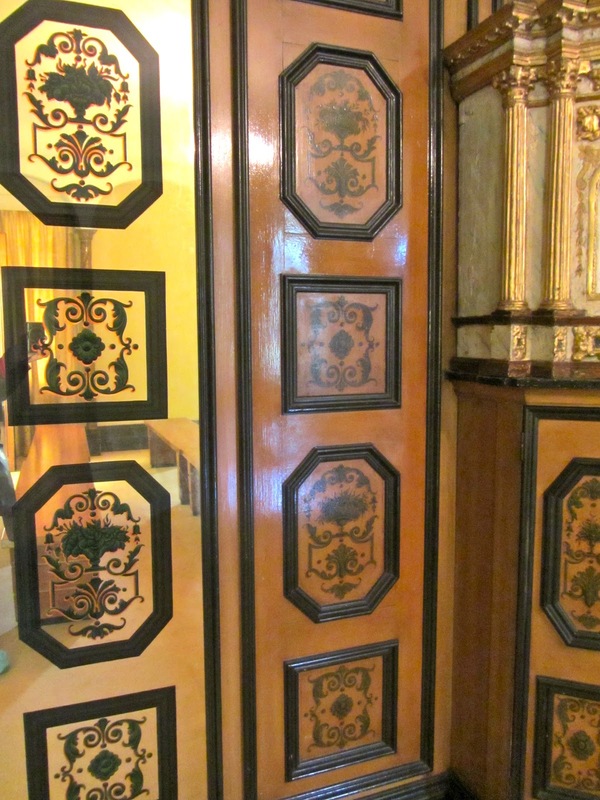 There are a whole lot of wall engravings going on, and plenty of gold. And for the collectors amongst you, there is an annual Art Deco fair where you can buy all kinds of interesting 1930's pieces whilst soaking up the atmosphere of the palace. This year the fair takes place on the 7th & 8th Sept. 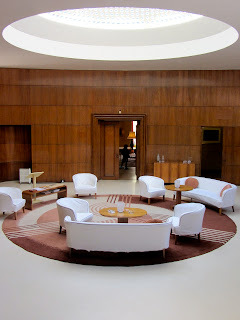 The original Eltham Palace was a medieval royal palace dating back to the 14th century, of which there are significant remains still intact, including the Great Hall. It was a moated manor house where royals used to reside including Henry VIII who grew up here, probably as a sweet young boy collecting conkers in the garden, before he grew up to become a lover of food and collector of wives! But after its royal heyday, the palace deteriorated into rapid decline, being used as a farm and outbuildings, and later being restored to become a gentleman's residence. 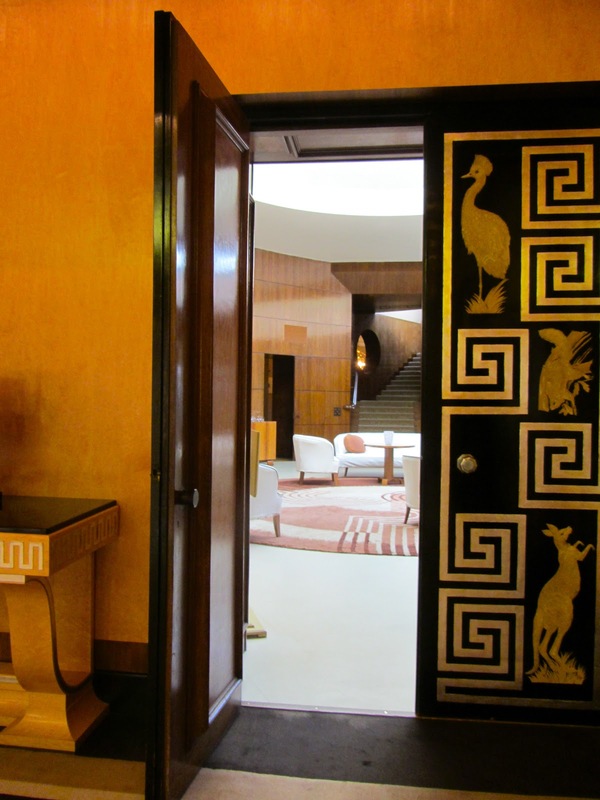 The house you see today was built in the 1930's, by a wealthy couple, Stephen & Virginia Courtauld who turned it into one of the finest examples of Art Deco architecture in the country. They were also keen horticulturists and transformed the gardens to include a sunken rose garden and a spring bulb meadow. The Courtaulds left Eltham in 1944 when it was taken over by the Royal Army Educational Corps until 1992 when English Heritage restored the building to its original Art Deco glory and opened it to the public in 1995. And I love the fact that the Courtaulds had a pet Lemur called Mah-Jongg (also known as Jongy) who was bought from Harrods in Knightsbridge in 1923. 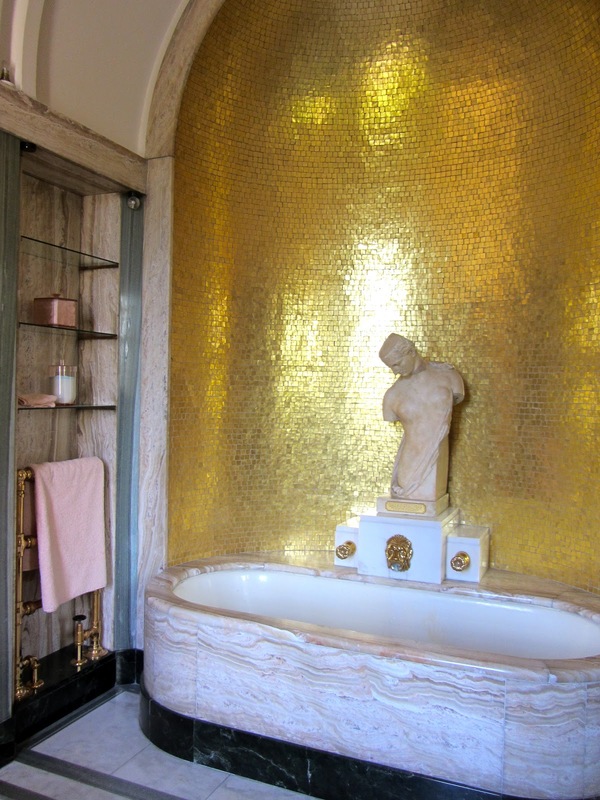 Jongy had his own central-heated room complete with lavish murals which you can still see, and lived at Eltham for 15 years until he died in 1938. There definitely aren't enough pet lemurs in the world anymore! Eltham Palace is a perfect place to escape the city, without having to go too far. 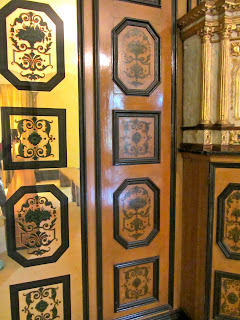 I spent a lovely day there admiring the rooms and roaming the grounds and highly recommend it.